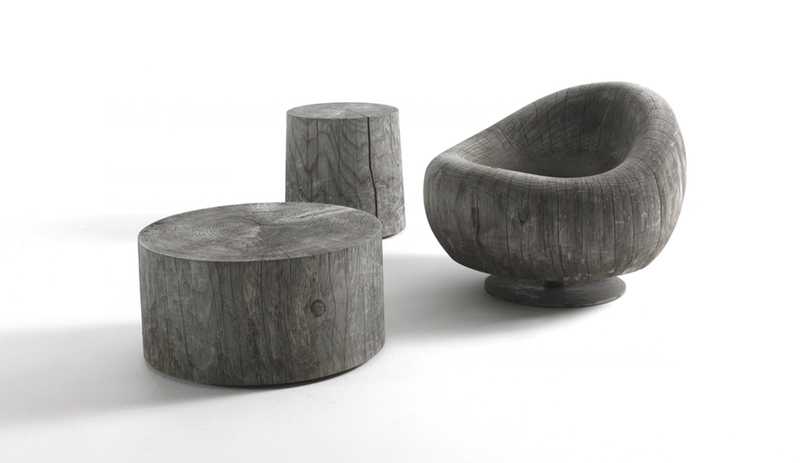 Carved from single blocks of wood, Terry Dwan’s scented cedar Eco tables and Maui chair now come in outdoor versions with a charcoal finish. 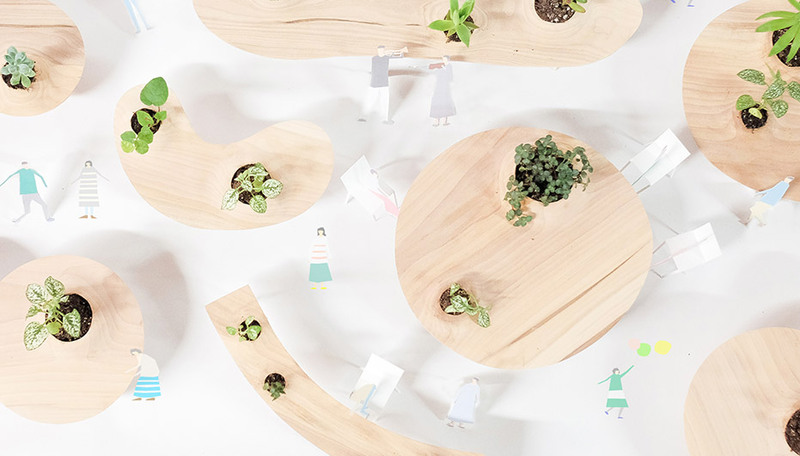 The hand-finished and untreated collection is made from trees that have fallen naturally in storms or are sourced from sustainably managed forests. Although they’re made in polycarbonate, Tokujin Yoshioka’s dazzling stools and tables have the appearance of crystal-cut glass. 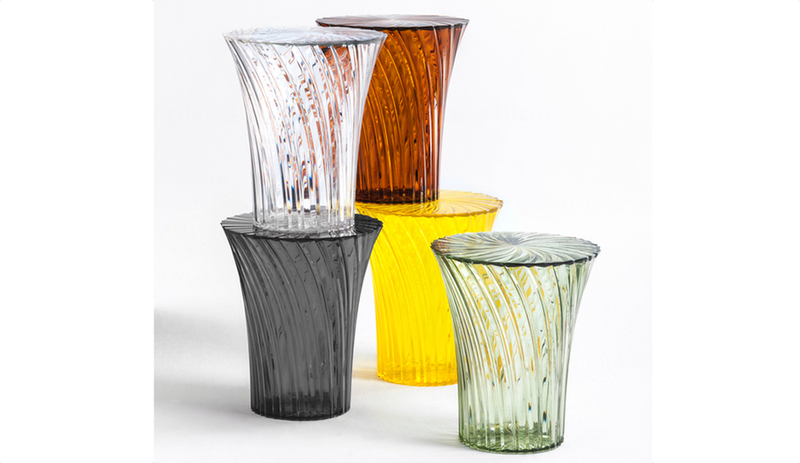 Originally designed in clear versions, the twisted plastic pedestals are now available in four colours: green, yellow, red and black. 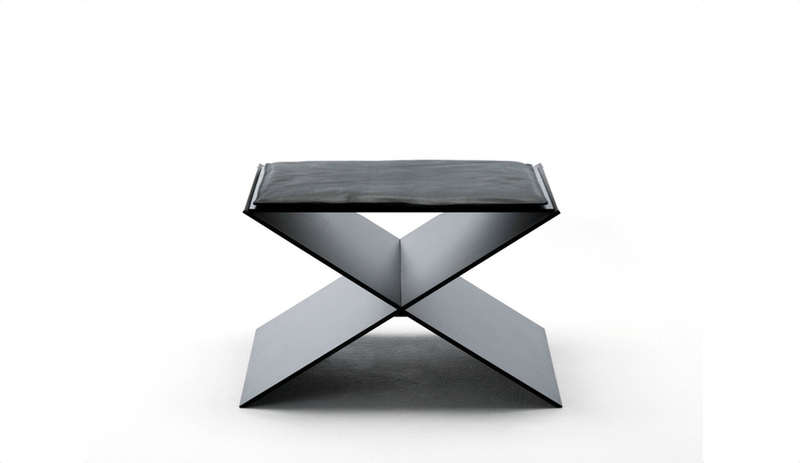 The outdoor version of David Lopez Quincoces’s stool is made from eight millimetre-thick aluminum plates with a matte-black epoxy powder coating. An optional foam cushion is available, covered in fabric suitable for the outdoors. Morocco inspired this lovely table collection and is the source of its craftsmanship – the handmade graphic tiles are made by artisans in the North African country. 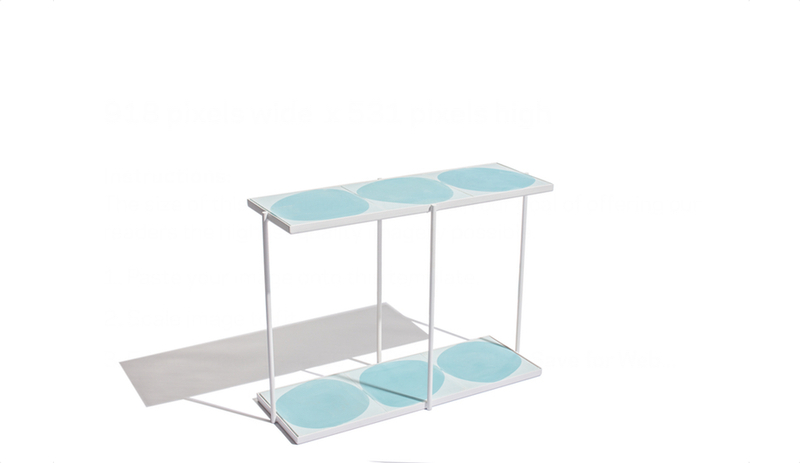 The line was designed by Stockholm’s Claesson Koivisto Rune in two sizes, several colourways, and a square version. One of the latest additions to Omer Arbel’s ever-expanding lighting collection, 16 is formed by pouring layers of coloured, molten glass on a horizontal plane, then illuminating them with an internal LED lamp. 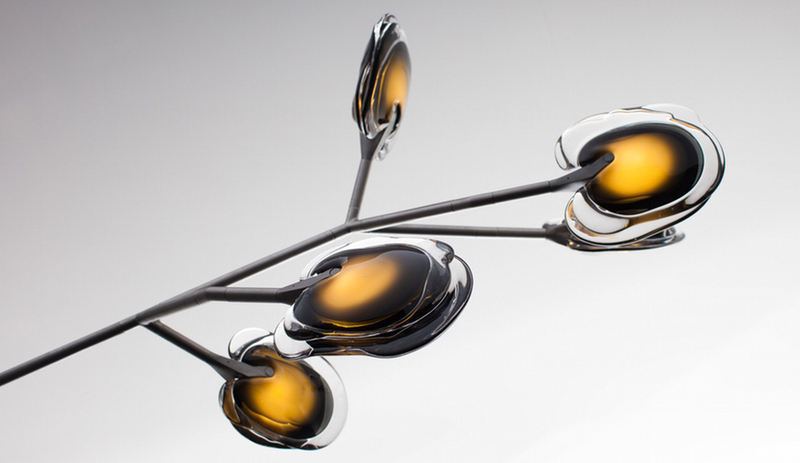 Multiples can be joined together with a modular amature made of branch and knuckle components to form a veritable glass tree. 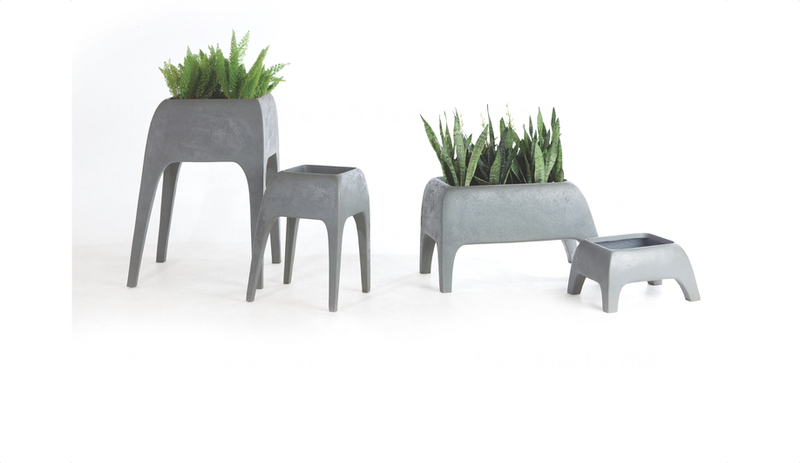 Kenneth Cobonpue’s whimsical, animal-inspired planters for Design by Hive of the Philippines are made from naturally crushed stones and fibreglass. Available in four sizes and four finishes: terracotta, natural, grey or black. 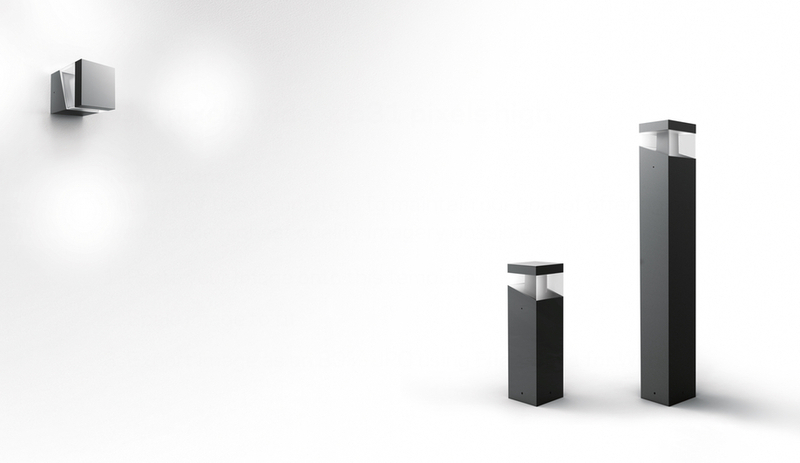 Garden lighting gets sculptural in Tetragono, available in sleek floor and sconce versions. The line is made in extruded aluminum treated with outdoor paint, and its UV-proof diffusers come in shock-resistant polycarbonate with a bright finish. 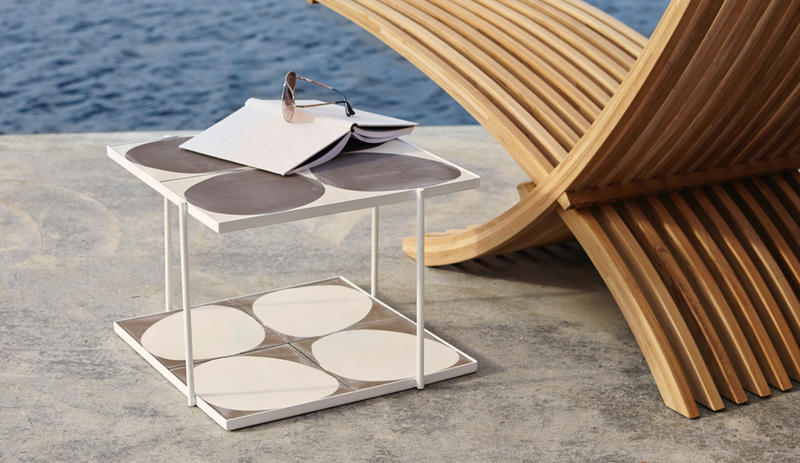 Jaime Hayon’s playful side table is made from grey architectural concrete. 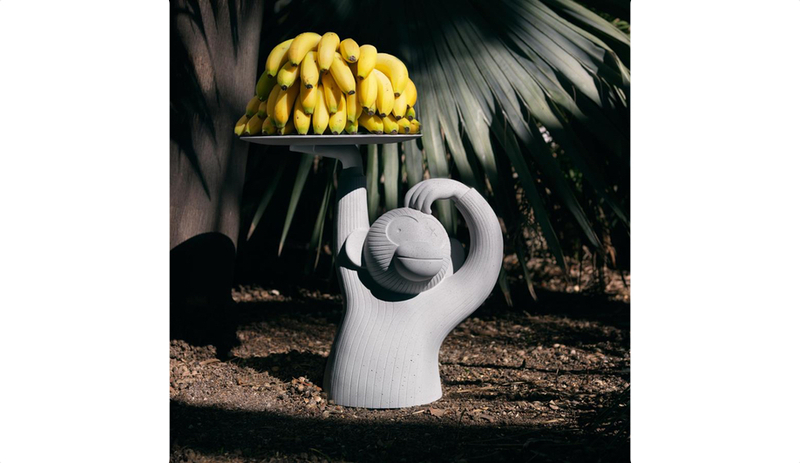 Monkey, which can also be used indoors, is the latest addition to his Gardenias collection for Spanish manufacturer BD Barcelona.